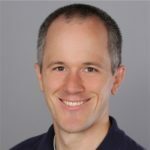 ASP.NET Blog | Silverlight Version 2 RC0 has been Released! Silverlight Version 2 RC0 has been Released! Version 2 of the Silverlight developer runtime along with the Silverlight Tools is now available. This release candidate will give developers the chance to convert their sites from Beta 2 –> Release before the final release of the runtime is out. Also, included below is a link to a patch that will upgrade Blend.